Al Marrakesh Guest House is situated in the heart of the seaside town of Ballito, on South Africa's Dolphin coast, within 1km of the main beaches, shops and restaurants. This serene, family establishment intertwines the Middle Eastern and African cultures through a unique Moroccan décor which makes for a relaxing stay. Al Marrakesh offers six comfortable, en suite units splashed with an Afro-Arabian theme and luxury linen which cater for various tastes and budgets. Beyond Al Marrakesh, you’ll discover beautiful golden beaches on which to stroll, rock pools for fishing, and the Indian Ocean’s warm waters where you can enjoy a good swim, or try your hand at surfing and body boarding. If you look hard enough, you might even spot a Bottlenose dolphin since these animals frequent this coast. Rooms: Six rooms, each with a private garden entrance, cater for various tastes and budgets with a spacious, executive / honeymoon suite with a king size bed; two equipped self-catering ensuite units and three standard en suites with either twin or king size beds. A total of eighteen guests are accommodated at Al Marrakesh Guest House. Facilities: All suites offer air conditioning, a private garden entrance, en suite bathroom, complimentary hospitality tray with filter coffee, crisp cotton linen, a bar fridge, 32 inch LCD TV with DSTV. Common amenities include a Moroccan lounge and library, garden swimming pool, deck and barbeque / braai facilities. Complimentary parking is provided behind a secure gate and, for the convenience and independence of guests, a remote control hand set is issued. Nearby attractions: Both the Ballito Lifestyle Centre and the Ballito Junction Mall are flawless shopping destinations for all your necessities whilst on holiday in Ballito. Shops include boutiques, surf stores, a variety of restaurants and everything in between. Not only can you enjoy long eccentric walks along the lengthy boardwalk, but can also hike to Salt Rock where you can enjoy remarkable views. The tunnel along the route is best attempted at low tide. Thompsons Bay Beach is popular for sunbathing, safe swimming with lifeguards on duty, shark nets in place and of course the well-loved tidal rock pool, 'Charlie's Pool'. Kite surfing is fun, exhilarating, and rather simple to master. It combines wakeboarding, parasailing and surfing skills and gives the body a fantastic workout, while you appreciate the magnificence and fresh air of the ocean. Flag Farm Animal Farm, The Ndlondlo Reptile Park and Crocodile Creek is located in/around Ballito, Kwa-Zulu Natal, and provides youngsters with endless fun and entertainment. Clubventure offers a 1.5km Zip-line Tour - experience a lifetime adventure with a bird's eye view. Holla Mountain Bike Trails - approximately 300 kilometers of marked and signed trails are situated on sugar cane farms in the Ballito area of Kwa-Zulu Natal. 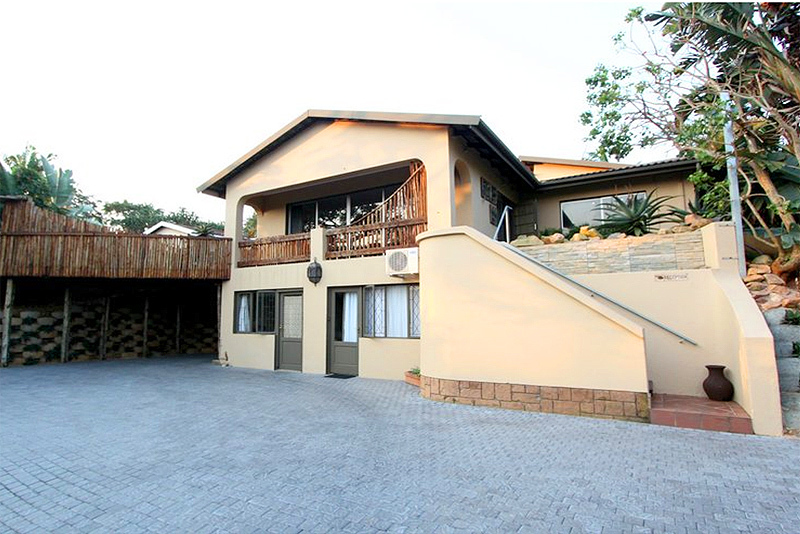 More Bed & Breakfast Accommodation in Ballito Central. Showing 10 results for accommodation.